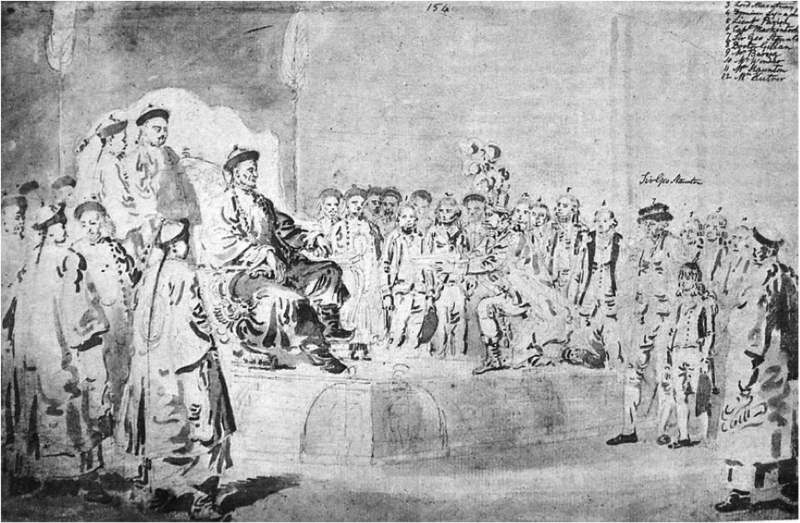 When Earl McCartney met with the Emperor of China in the 1794 British trade delegation, he did not kowtow (the act of bowing before the Emperor). This act was later described as possibly the most significant act in world history, as many believe it prevented the formation of a Chinese-British trade agreement. When entering a new country for business, there are a number of considerations vital to the success of your enterprise. Unfortunately, while many people labour hard to gain an understanding of the local laws and market conditions, many simply fail to account for the local culture. As McCartney and his delegation quickly learnt, understanding another’s culture can make all the difference. Whether you are vying to establish an international trade deal or simply exploring opportunities abroad, there are a few things you need to be aware of. The need for understanding culture in business has gained increasing prominence in the modern age. The reduction of global trade restrictions and improvements in technology over the last century have facilitated far easier cross-border business transactions. In this globalised economy, therefore, a company’s success is, more often than not, defined by its ability to succeed internationally. Given the rise of expatriation, we are now beginning to see a dilution of national identity and conformity of culture in the business world. This is arguably true for countries with higher foreign populations, such as Singapore, Australia and the UAE. Further, at a grass roots level, not only have western universities encouraged students to take up foreign language studies, but many in Asia are also teaching western etiquette mandatorily. It might appear that these changes are leading countries down the path of cultural conformity. However, our experiences of working with different businesses suggest the contrary. Global business culture is far from homogenous, and taking such a simplistic view can be fatal. One of the key mistakes people make is the expectation that business will conform to a national stereotype. For example, approaching a Singaporean company with an expectation based on previous experiences might be too presumptuous given the country’s diverse cultural demographic. While they still might be ‘Singaporean’, this does not necessarily mean the way they conduct business will be the same. It is therefore important to look deeper. Other facets, particularly one’s religion, education, race and gender are only a few of the considerations that must be made. Increasingly, in this globalised economy we are seeing multi-national corporations and other organisations falling into this trap. Many are internalising a ‘one-size-fits-all’ mentality with regard to foreign engagement, which might be at odds with the cultural values or sensitivities of the people in that particular company. Although this is certainly an improvement over misunderstanding an entire country (I’m looking at you Euro Disneyland), it is not so insignificant that it should be disregarded either. While this should be stressed when conducting business outside of your own country, the argument is equally valid when dealing within your own. Perceiving physical proximity as being equivalent to cultural proximity is engendering complacency. What we take away from this is that every business engagement we undertake should be treated with the same sensitivity as with any other cross-cultural engagement. Stereotyping cultures based off geographic location is far too presumptuous today. It would also be equally naïve to assume people living in similar locations share common beliefs and cultures. We believe that mastering an effective communication technique holds the key to successful business dealings. It is clear that having at least a basic appreciation of cultural diversity is the logical first step. But without necessarily studying in depth an individual’s cultural background, we must all learn how to better communicate with those whose first language does not match our own. Language is significant, and mastering a foreign language will often be the most effective way to demonstrate your interest in engaging in business abroad. Of course, this may not always be possible, and if language barriers do present themselves it will always be worth the effort to employ a reliable and experienced translator. In saying that, appreciating diversity will also apply when communicating with people who speak the same language. For example, despite English being considered the international language of business, it would be unwise to assume that all people have an effective or equivalent grasp of it. Miscommunication between native English speakers from differing backgrounds is all too common today. We believe that by relinquishing cultural presumptions and approaching business engagements with an open mind will help you overcome these issues. It follows, therefore, that a high degree of tolerance will be demanded. And while this is often easier said than done, conducting business in the modern age requires the ability to meet these unique challenges.